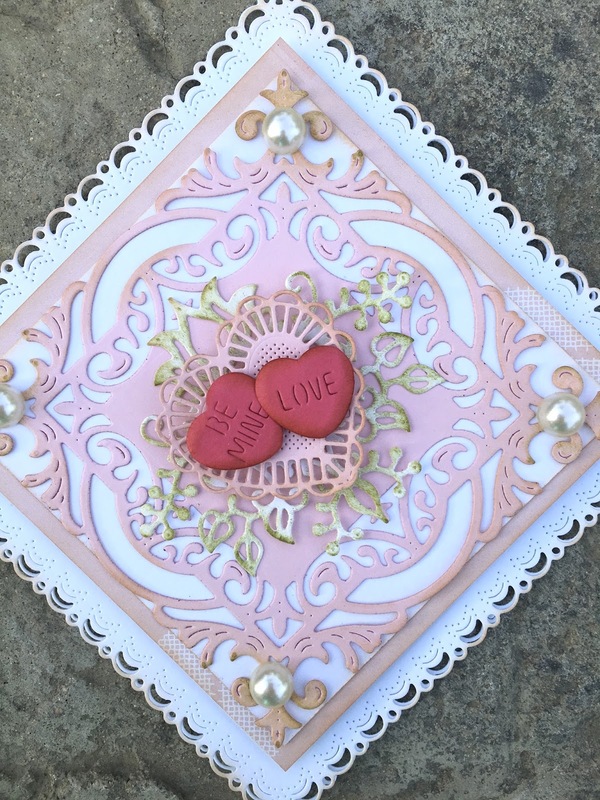 For the love of life: Cheery Lynn Designs: Be Mine! Cheery Lynn Designs: Be Mine! 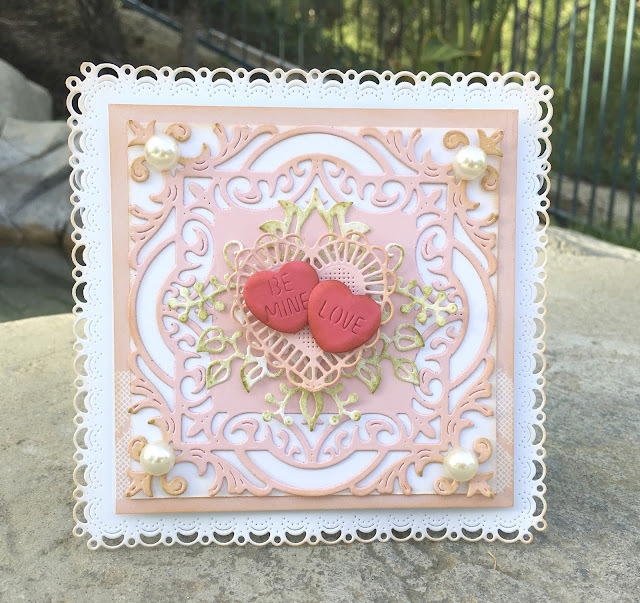 Hi there, since Valentine's Day is around the corner I have a Valentine's Day card to share with you using Cherry Lynn Designs dies today. To start creating this card I started out with cutting two Horizon French Flair Boutique Stacker Frames dies using white card stock. Next I cut a square panel using a patterned paper and added it to my card base. Next I used one the new dies called Quadrafoil Square Doily out of pink card stock and I cut a white square panel to back up my gorgeous doily to pop the design. Next I die cut a gorgeous Ornament #9 out of white card stock and inked it up a little bit with green ink. Than I die cut one of the smaller Two Of Hearts die using pink card stock and finally die cut Sweetheart Candy and used them as my sentiment for my card. Finally I added some half pearls on my corners.